← How To Plan A Killer Road Trip! Part 4: Packing! I love a good rodeo... I cheer for the bulls! My cousins in Pagosa Springs, Colorado invited me up for 4th of July. 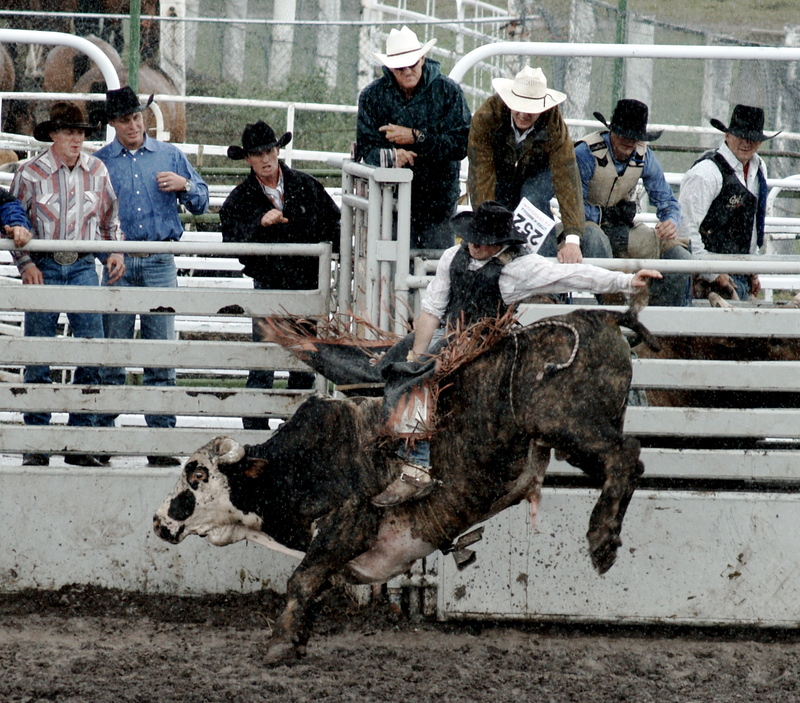 They have box seats at the Pagosa Rodeo on Monday, so I’m going to make a weekend out of the drive. 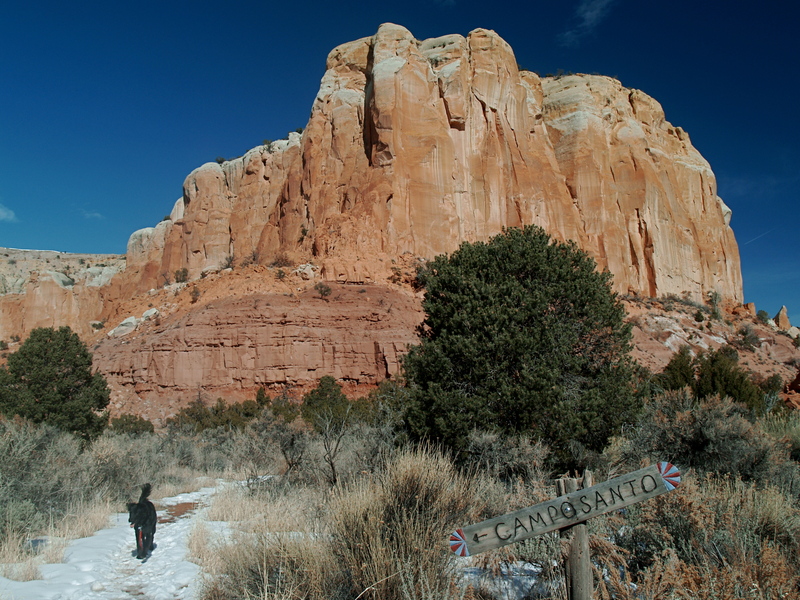 My original plan was to leave today (Thursday), camp at Echo Ampitheater near Abiquiu and take a hike at Ghost Ranch first thing Friday morning, but Carson National Forest has been closed to hiking and camping due to fire danger. So Plan B is to leave Cerrillos very early on Friday and arrive at Ghost Ranch by 9 am to visit the Museums of Paleontology and Archaeology there before it gets too hot for the dogs in the car. I’m currently working on a Travels in Geology column on Ghost Ranch for EARTH magazine and I’d like to take some detailed notes about the museums and some more photos. Then I’ll head north on Highway 84 to Chama, New Mexico and into Colorado via Highway 17. Highway 17 will take me into the San Juan Mountains and over two 10,000+ foot passes before I turn west onto Forest Road 250, a dirt track that hopefully, the Raven can handle. After 25 miles of dirt, I’ll come to the tiny town of Platoro. Hopefully, I’ll be able to get lunch there at some tiny quirky restaurant or at the very least, wander into some weird little shops on Main Street. It’s always interesting to see what stores in these remote mountain towns have in stock. Friday night I plan to camp at one of the many campgrounds in San Juan/ Rio Grande National Forest. On Saturday I’ll be getting up bright and early to tackle either Montezuma Peak, Summit Peak or the Unicorn, three 13,000+ foot mountains grouped close together just west of Platoro. Depending on trail conditions, I hear it is possible to summit all three in one day, so we’ll see. Things could get epic! Saturday night will likely be spent at the same campsite as Friday night, since I’ll be out hiking all day. On Sunday, I’ll head north past the tiny town of Summitville and hit pavement again at Highway 160. If I have time and energy, I’m going to check out La Ventana Natural Arch in the La Garita Mountains. Then I’m heading west on 160 to Pagosa Springs. Monday is the rodeo and on Tuesday my cousins might join me to climb Square Top Peak, an 11,000 foot mountain near Pagosa Springs. Then, once the dogs are tired, we’ll head back south to New Mexico. So that’s the plan, but of course, my plans are always subject to change. If the forest road is too rough for the Raven or if the weather is not conducive to mountain climbing, I’ll figure out a Plan C! Anybody else planning on seeing more of this awesome country this weekend? This entry was posted in Bowie & D.O.G., Hiking!, New Mexico, Road tripping!, Vagabonding 101. Bookmark the permalink. 4 Responses to Road Trip Colorado! Sounds like another great trip planned for this weekend. I have never been to Pagosa Springs, it’s on the list. I hear it is awesome! Can’t wait to hear all about it. Wish you were joining me, Elizabeth! Another time, I hope.